I just finished reading an article that blasted essential oils in a not so positive way. Yet- Essential oil use has skyrocketed in the past few years… and has turned into a billion dollar industry… BILLIONS. The favs for many people are Lavender, Tea Tree, and Lemon… there are more. It is wise to always do your research. It is important to know what you are using and the potential side effect before you use it. For instance- know that- Lemon, increases photosensitivity for example. that means that if you are in the sun, you might heighten the sun effects, and get sunburned. It is much like putting lemon on your hair and going into the sun to lighten it. it is important to know WHY you are using essential oils and use them wisely. There are many resources for this knowledge… if you want a place to start, go to the Library tab on my website and check the book list there. 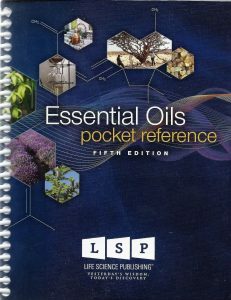 My go-to book is the Essential Oil Pocket Reference. It is a plethora of information at your fingertips. What are your favorite essential oils and what do you use them for? Please be informed… you can always ask me.